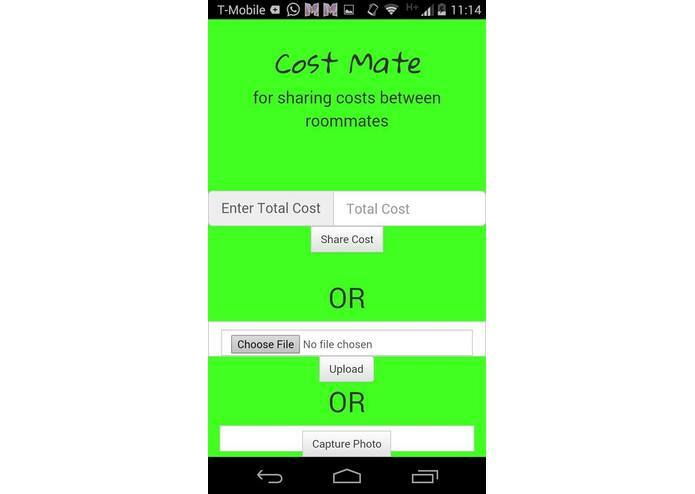 A mobile app for calculating shared costs among room mates. Having a room mate is an important part of the college experience. However, college is a place where spending should be limited. Personal expenditure becomes an even bigger problem when you are sharing a room. But, no more! We present to you the app CostMate. Through cost mate you can maintain the per person shared cost with your room mate. You can either input the cost to be shared directly into the app, upload a photo of the receipt, or click a photo of the receipt. And, the app will do the rest. If both of you use the app, the transaction can easily be calculated any time.